Edgy Labs Reminder: The only supermoon of 2017 is rising on December 3rd, make sure you catch this rare, huge appearance of our Moon. The only supermoon of 2017 is rising on December 3rd. 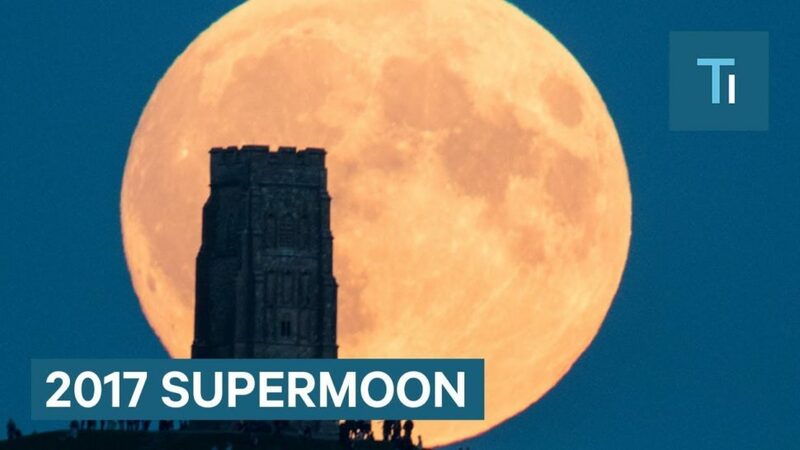 But what is a supermoon? Why are they so rare? Not to be confused with a solar eclipse or a full moon, a supermoon is a rare type of full moon. They appear up to 14% bigger and 30% brighter than normal. While the full moon rises about once per month, a supermoon can only occur a few times per year maximum. Why? The timing has to be just right. The Moon takes about 27.32 days to orbit Earth. During its orbit, the moon passes through two points: Perigee and apogee. Perigee is about 30,000 miles closer to Earth than apogee. A supermoon can only occur at during a special time called perigee-syzygy. This occurs when the moon is full and at perigee simultaneously. This is rare because as the Earth revolves around the sun, the moon’s orientation to Earth stays mostly the same. This changes ever so slightly when the Moon orbits during the course of each full moon. In fact, over many years, the moon’s orientation is slightly shifted by its precession. That’s why supermoons would even more rare if the moon didn’t precess. This year, this Sunday night, the moon is forecast to shine 16% brighter and appear 7% larger than its usual size. Many assume it’s hard to differentiate between a supermoon and a regular full moon. However, if you watch a supermoon is when it’s low, near the horizon, you can fully appreciate this rare moment in space and time. Most astronomers suggest watching the supermoon right after sunset and into moonrise, and minutes before the next sunrise as well. But for those who can’t wake up that early, the moon will still look bigger and brighter throughout the night. Have you ever glimpsed a supermoon without realizing what it was? Let us know in the comments below!